Donate to our Bike Aid Project! 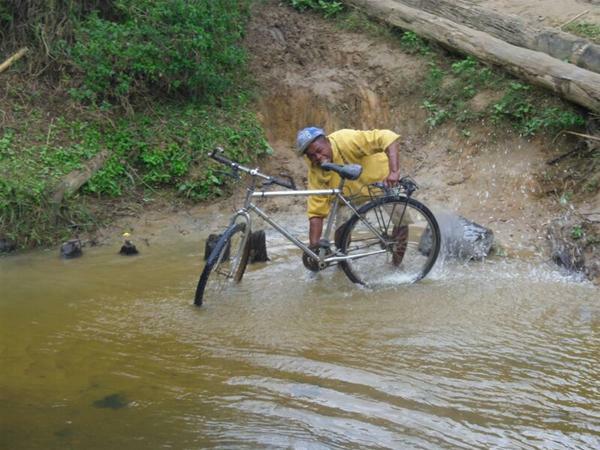 CAN YOU DONATE YOUR OLD BIKE OR FUNDS TO GET BIKES TO MADAGASCAR? Rather than dump them we can refurbish them at our premises off the Ormeau Road, Belfast, and send them out to communities where they will be put to good use in our projects. Bikes are the core of the transport network in Madagascar, especially in the south of the country where vehicles are often not available and roads can be impassible for much of the year. We have teamed up with Belfast based Bike Aid Africa to collect, recondition and send bikes out to our charity partners in Madagascar, who identify and distribute the bikes to people and communities. Your bicycles will allow more teachers to go further in spreading our Adult Literacy programme, which has so far reached over 30,000 people. Water, education and basic healthcare are sparse, particularly in rural communities in Madagascar. Marketplaces, workplaces and other income opportunities can be significant distances away from people's homes. Weather conditions can make these journeys more burdensome, whether in the scorching heat or through the rainy season. Providing locals with a means to reach these essential places, and in a more timely manner, will significantly improve their futures. We need your help to do this! If you have an old bike gathering dust in the garage, preferably a mountain or hybrid bike to navigate the tough terrain out there, contact Brendan on 07788 108727 who will arrange collection. Together we will hit our target and your old bike will be transformed from clutter to a useful and valued gift immediately!